Sign-In and pay before you come! 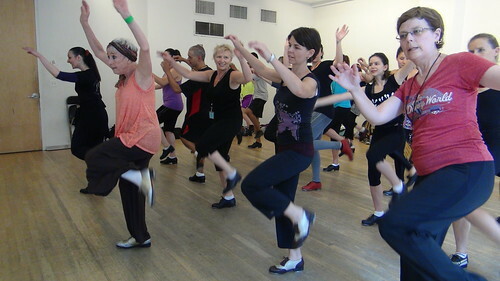 Brenda Bufalino teaches an intermediate/advanced level workshop of technique and American Tap Dance Orchestra Repertory. 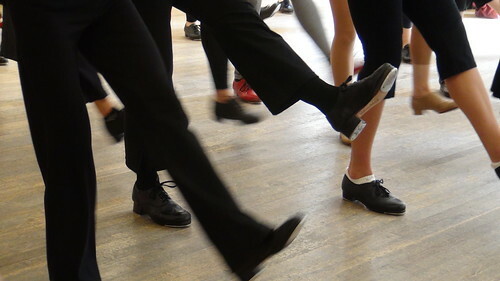 Designed for adults who have never tap danced before and want to learn in a supportive, non-judgemental environment, the Absolute Beginner Workshops teach the basics in a consecutive, 6-week workshop. 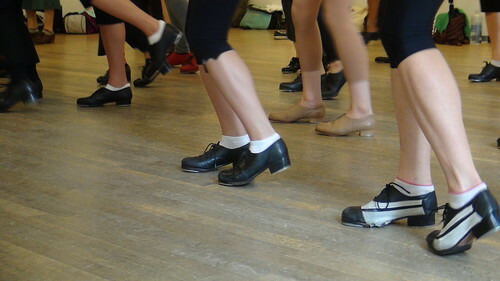 This class teaches the basics of tap dance and prepares the student for the Absolute Beginner Drop-In Classes! To pre-register, call 646.230.9564 or email crunft@atdf.org. The ATDF presents monthly Tap Talks/Tap Films presentations, panel discussions and special events to the tap community. COST - $5, Hoofer and Professional Members get in FREE! Meet tap dancer Kazu Kumagai from Japan and participate in an intimate conversation about tap dance from an international point of reference. Moderated by Tony Waag. 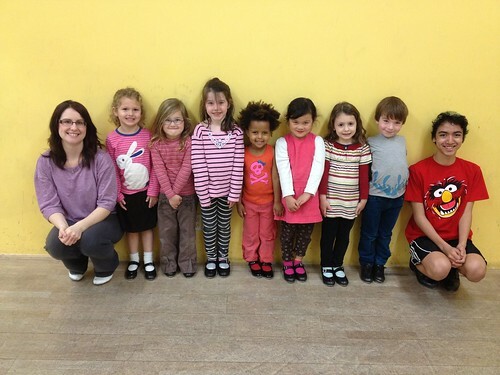 Pre-Tap/Creative Rhythms is a class designed for 3 - 4 year olds. 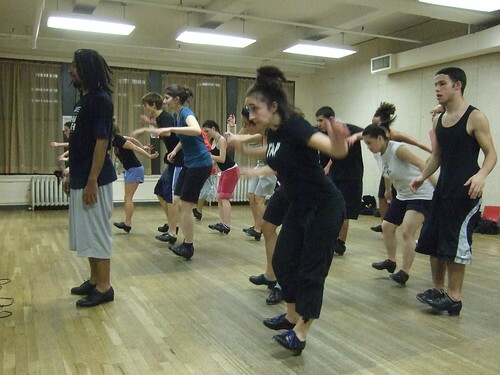 It's a fun, 45 minute class of rhythm, music, creative movement games and tap dance basics. Bring your dancer in to try it out FREE for the month of October! Classes are ongoing and you can register for the remainder of the year after a trial class! Classes have begun, but there are still openings in a few classes! See the fall schedule here! NEW! Memberships! Check out all the great incentives you get for being a member! To purchase a membership, call 646.230.9564 or stop by our front desk. Fay Ray, one of the last members of the "Silverbelles", has passed on September 14th, three days after her 94th birthday, at Kateri Residence, NYC. Fay was a wonderful person, loved by all her colleages and the people who knew her. Born in 1919 in Natchitoches, Louisiana, she got her first bite of the show business bug in 1937 when she joined the Hennies Brothers Carnival in Shreveport, Louisiana. Also in the show was her later lifelong friend Carnell Lyons with his act "The Three Rags of Rhythm". Carnell took her as a tap student and taught her what he knew about tap, and soon after Fay had her own act together, dancing in the night clubs of Kansas City with Carnell's trio. When she left the carnival in 1938, she went to Detroit and was hired by the famous Leonard Reed to work at the "Club Zombie" and later at the "Club Congo". Around 1945 she came to New York City and got her first job through Mable Lee working with Mable and "Pops and Louie" at the "Club Sudan" in Harlem. She also worked with Louis Jordan, Count Basie and many others. In the 1960s she worked a lot with the dance groups of Lon Fontaine in California, Puerto Rico and Japan. In 1966 she went to Europe, following Carnell Lyons who has already been living there since the mid 1950s, and worked as a single song and dance act. In 1969 she teamed up with the famous musician and comedian Bert Howell ("Howell and Bowser") touring Europe, the Middle East and Asia. In 1990 she joined the "Silverbelles", the legendary group of old time chorus girls founded by Bertye Lou Wood and Geraldine Kennedy, and who were the sensation of many festivals and other dance events. With the Silverbelles she appeared on the TV show "48 hours", worked several times at the Apollo Theater, and was honored with them at the University of Connecticut. In 2006 Heather Lyn MacDonald produced the great documentary "Been Rich All My Life" about the Silverbelles. In the same year Fay was also invited to teach and perform together with Karen Callaway Williams at the annual Tap City Festival which was great fun for all their students. Fay was a lovely person, an inspiration as a dancer and a character for everyone who met her. She's now together with her buddies from "the days" - Carnell, Buster, Harold, Leonard, Pete, Pearl, Rita, Cleo, Marion, Cholly, Bertye Lou, Ralph, Cookie and Brownie - having a ball. We will miss her very much! Someone Special Deserves Your Attention: YOU! 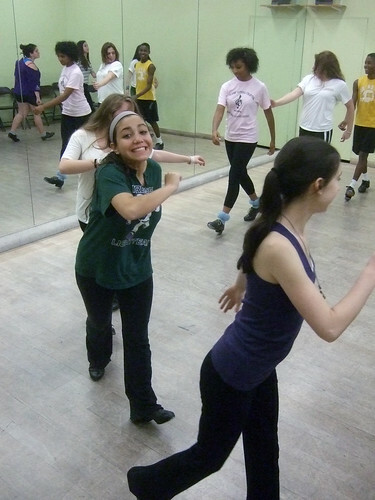 Cigna is proud to support The American Tap Dance Foundation. You work hard to please people around you - your friends, your boss, your kids. It's time you did something nice for yourself. There are plenty of little things you can do to help celebrate the most special person in your life: you. Between deadlines, chores and to-do lists, it can be difficult to make time for yourself. But there is time - you just have to find it. Make a list of the top ten most time-consuming things you do each week. Then think about what things you can eliminate. What can you simplify? What can you ask someone else to do? You'd be surprised how, with a little effort, you can find more time to spend on you. What to do for you. * Give yourself credit for doing something well. Cigna is inspired by people just like you! If you have a story about how you use your unique strengths to help you achieve your full potential, we'd love to hear it. You can share your story by sending an email to BusinessCommunications@Cigna.com. The American Tap Dance Foundation, Inc. would like to thank the following for their generous support: the National Endowment for the Arts, the New York Department of Cultural Affairs, New York State Council on the Arts, The 42nd Street Fund, the Tsunami Foundation - Anson and Debra Beard, Jr. and Family, Cigna, Stagestep, Capezio Ballet Makers, and numerous individuals, friends and families.